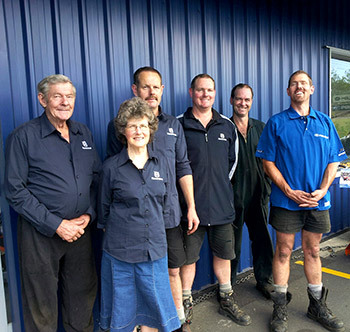 Over the years, the team at Kumeu Chainsaw and Mower Services has seen the range of equipment from the Swedish company, Husqvarna, expand from professional forestry chainsaws to a huge stable of lifestyle equipment. The range has continued to grow to include ride-on tractors and the new zero turn mowers - in fact the Husqvarna name has become synonymous with quality, innovation and heritage that spans over 325 years. So it was in 1978, that Kumeu Chainsaw and Mower Services became a comprehensive dealer for Husqvarna in this district selling its range of chainsaws, garden equipment and push mowers. The Showroom extension was completed in 2010 and now boasts an impressive arena for equipment of all shapes and sizes allowing you, our customer, to make your choice under the careful guidance of the sales team here. Why make your next lifestyle equipment buying decision with us? In the mid-eighties Polaris USA made their debut into the growing market with their range of All Terrain Vehicles (ATVs) and Kumeu Chainsaw and Mower Services saw it being a complimentary addition to Husqvarna. This brand is popular for agriculture, sports and recreational use and our involvement with it grows from strength to strength. Other brands have been added to complement our flag-flying Husqvarna brand to ensure that we have equipment on offer to allow you to do your job, whether it’s for forestry, agriculture, home gardening, life-style block-care or city-wide contracts. The extent of our expertise is to provide Customer Satisfaction. We like what we do and take a pride in being experts in our field, in not only selling and servicing gear, but as born and bred people of the land and country men at heart, we own and operate ourselves, the power equipment we sell.